BOOK DIRECT + save - 10% cheaper than any other website – GUARANTEED! The "Onda Verde" hotel, situated in the heart of the Amalfi Coast, offers an unforgettable stay for nature lovers in search of tranquillity. 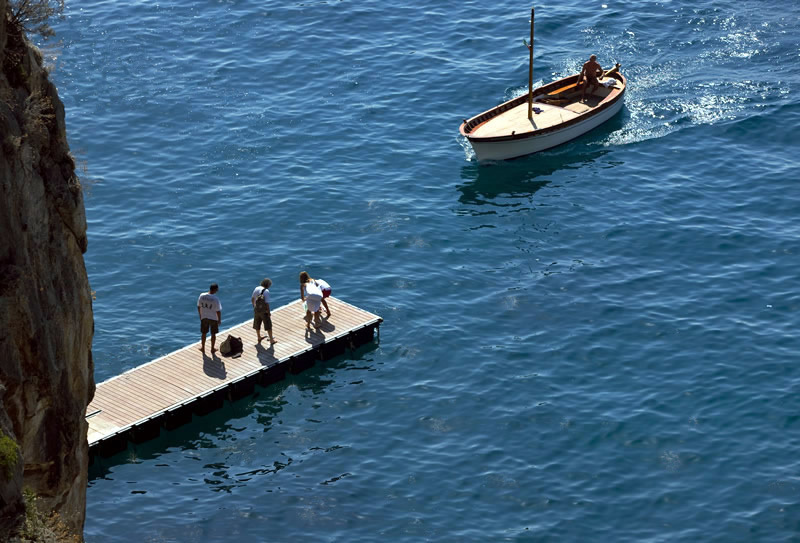 Like a perfectly set diamond, Onda Verde is in an enchanting location among the beautiful inlets of the coast; 7 km (4.2 miles) equidistant from the towns of Amalfi and Positano. 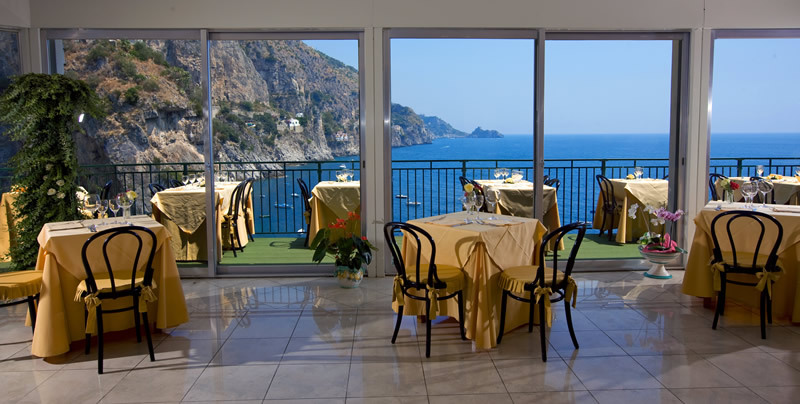 The Hotel boasts an exclusive panorama of the Amalfi Coast; views include the Saracen Tower of Praiano, and that of the Conca Promontory, as well as Paestum, Capri and the Point of Campanella. The hotel is very near the cliffs and the beach. Its facilities and amenities enable guests to enjoy the sea and soak up the sun in the most inviting, friendly and relaxing atmosphere. When each guest arrives, they are greeted by a friendly reception. The Hotel has twenty five (25) private rooms nestled in five (5) mountainside villas as pictured here with bathroom, hair dryer, safety deposit box, minibar, telephone, free Wi-fi connection, satellite TV, air conditioning and breathtaking panoramic view. If you are a lover of beauty and nature, and you wish to watch breathtaking sunrises and romantic sunsets, Onda Verde is the place for you. Onda Verde has a quaint and lovely restaurant over looking the Mediterranean sea. The outdoor table settings are on the hotel's cliffs. Enjoy traditional and regional tastes by experiencing a sumptuous dinner prepared by the hotel's first class chefs. The Hotel's services include a bar, in the lobby internet point and wireless connection, parking (reservation is necessary), solarium, lift from the parking to the reception and all the rooms, beach facilities, and just under the hotel (30 m) a landing-stage for boats to Positano and daily excursions to Capri and Ischia. The pool of the Hotel Onda Verde rises like a true oasis in the thousands terraces and coloured flower that characterize our little sea view paradise corner. Escape the summer heat and the crowd, and let yourself go to authentic moments of relax cuddled by water jets or a waterfall, surrounded only by tranquillity and the sky. 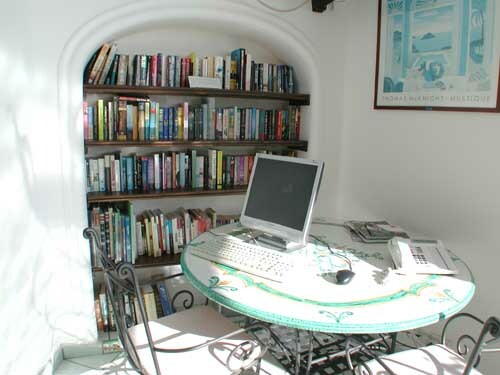 Meeting almost every genre of reading, we have an interesting library of books for you to borrow for your enjoyment while staying at Onda Verde. 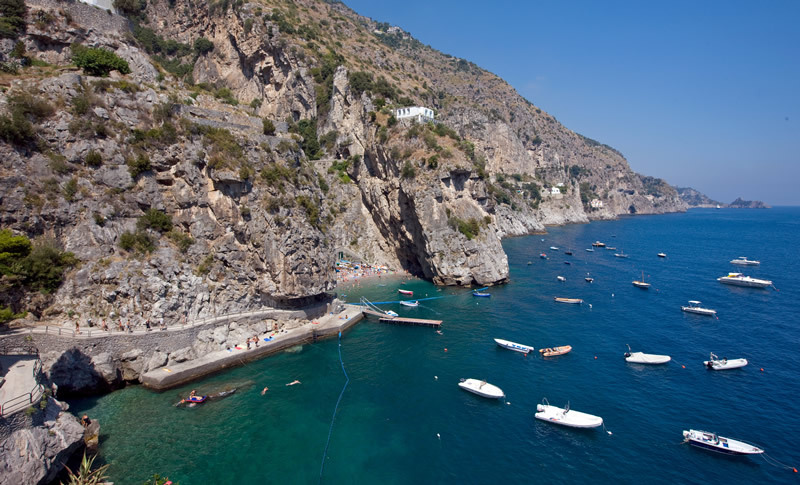 The Amalfi Coast has some of the richest culture and history in all of Italy. One of the advantages of staying at the Onda Verde Hotel is the variety of possible daily excursions followed by the peace and quiet of 'home' at the Onda Verde. 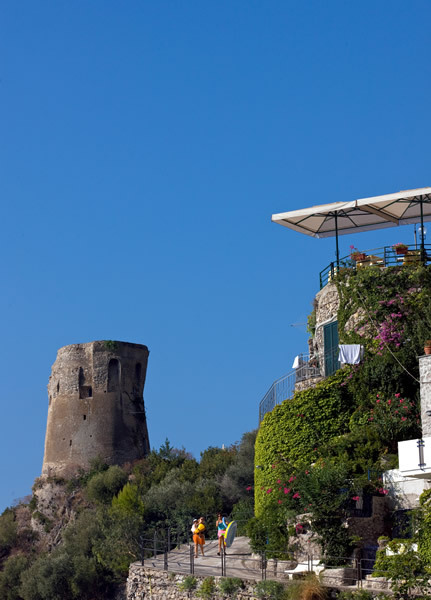 The Hotel Onda Verde is well connected with all the most interesting places of the Amalfi Coast. The local bus called Sita with bus stop on our parking takes you to the center of Amalfi, Positano, Ravello, Sorrento, Pompeii and many other places on the Amalfi-Sorrento Coast. For those who prefer English guided tours (Capri/Anacapri, Pompeii & Vesuvius, Herculaneum & Sorrento, Naples, Paestum and Rome) there are travel agencies who make available their professional services with guide assistance. The Hotel Onda Verde is owned and operated by the Milano family. "We want our guests to feel comfortable and relaxed in the hotel. 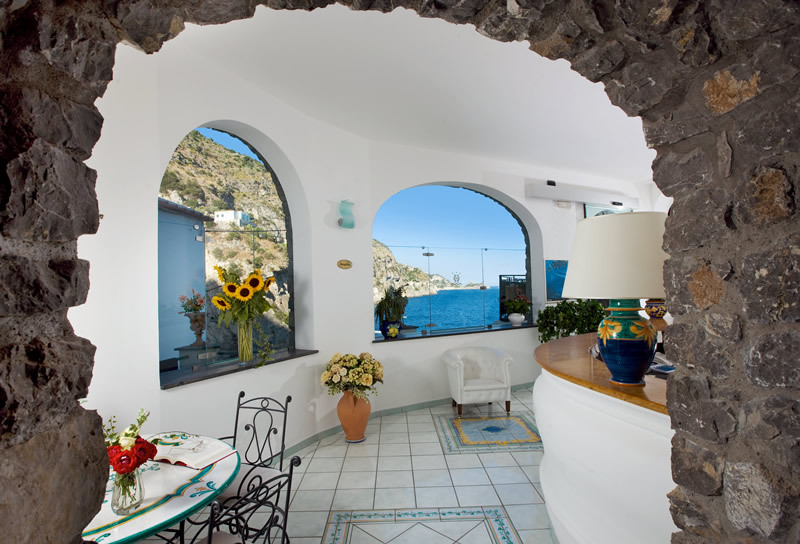 We want guests to feel the beauty of the Amalfi Coast. 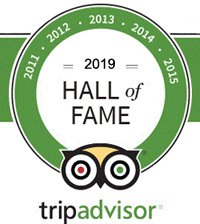 We are very pleased and proud to offer our guests some of the best experiences they will ever have on their vacation. We welcome our guests with open arms. When you come to Onda Verde, it is like coming to your home away from home.